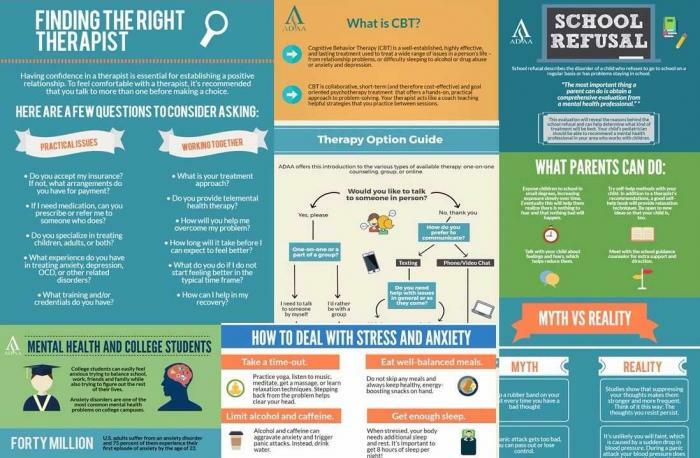 Infographics are a visually engaging and fun way to convey information about mental health. Below, you can find a compilation of ADAA infographics categorized by topic. We encourage you to download and share these guides with your community. Have an idea for a new ADAA infographic? We would love to hear from you. Contact us here. Below are ADAA infographics that are available to download.